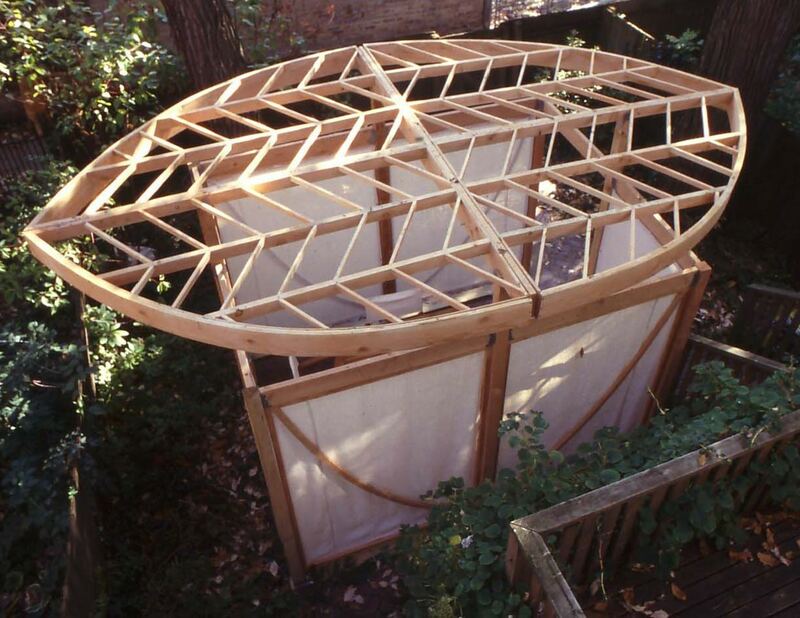 A Talmudic debate inspired this sukkah design. According to Rabbi Eliezer, the sukkah represents a cloud-like miraculous presence that hovered over the Israelites journeying in exile. For Rabbi Akiva, a hut is just a hut; the sukkah recalls the simple, temporary booths that God commanded the Israelites to build for physical shelter. 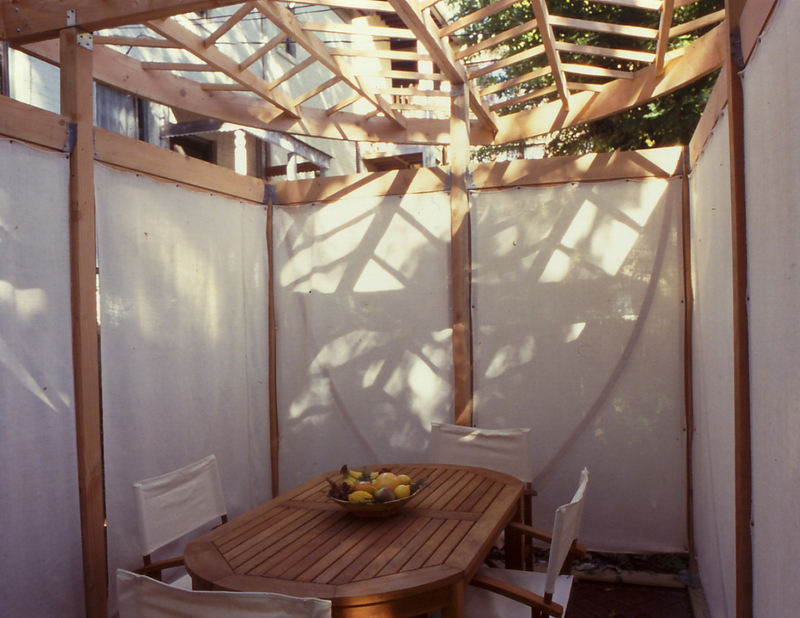 The roof of this sukkah evokes Rabbi Eliezer’s interpretation—it floats above the walls, like a cloud. Its form recalls the shape of the myrtle leaf, one of the four species central to this festival. The walls of the sukkah, simple and with exposed hardware, belong to the humble hut of Rabbi Akiva. Translucent white walls capture the everchanging shadows of nature outside. Sukkah kit in development, custom designs available. Click Here to learn more about commissions.